Hello, everyone. I am Tami from Kamp Kindergarten. It is hard to believe that we are well into September. 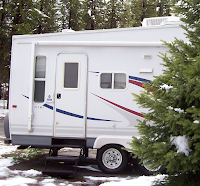 The first day of fall is less than 2 weeks away. Johnny Appleseed’s birthday is just over 2 weeks away. I am going to share an easy and fun apple sensory bin for your little learners. This idea will work if you are not allowed to use food items in sensory bins. 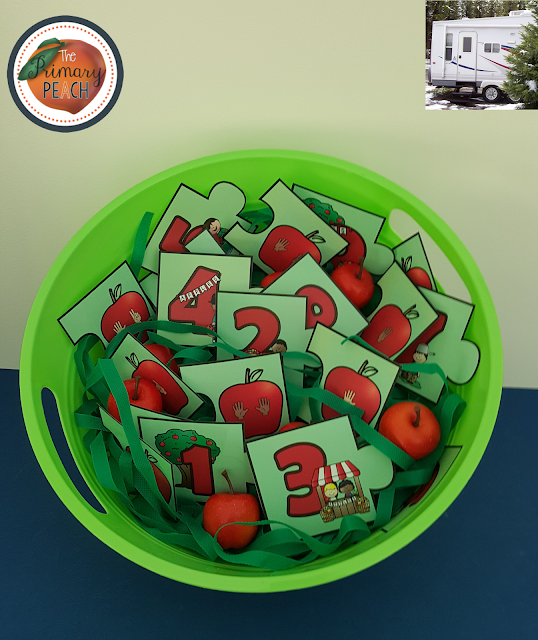 This sensory bin will be great for autumn/fall and Johnny Appleseed's birthday. 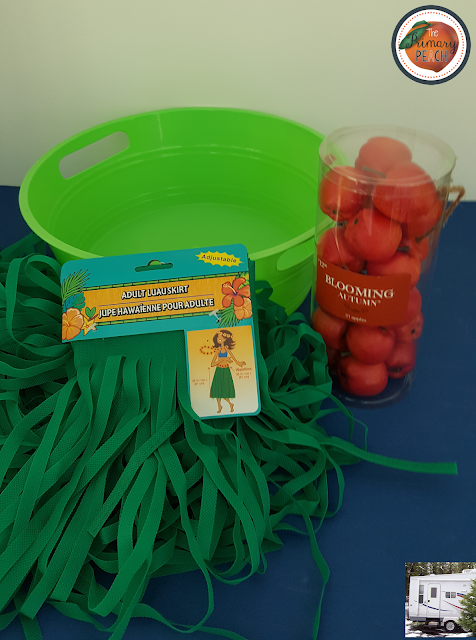 I used a round green tub from Dollar Tree, a green hula skirt from Dollar Tree, and apples from JoAnn’s. You may substitute other containers or greenery. 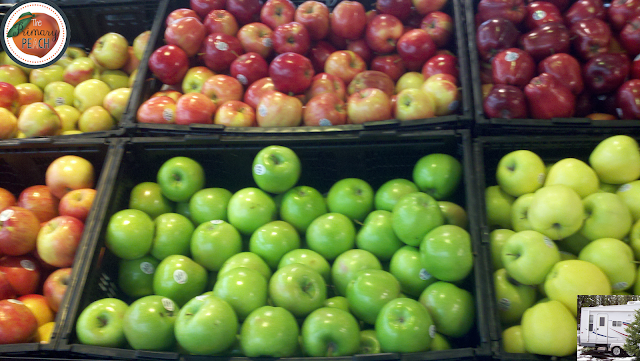 I chose the round green tub to make it appear like the top of an apple tree. You may substitute whatever container you have. 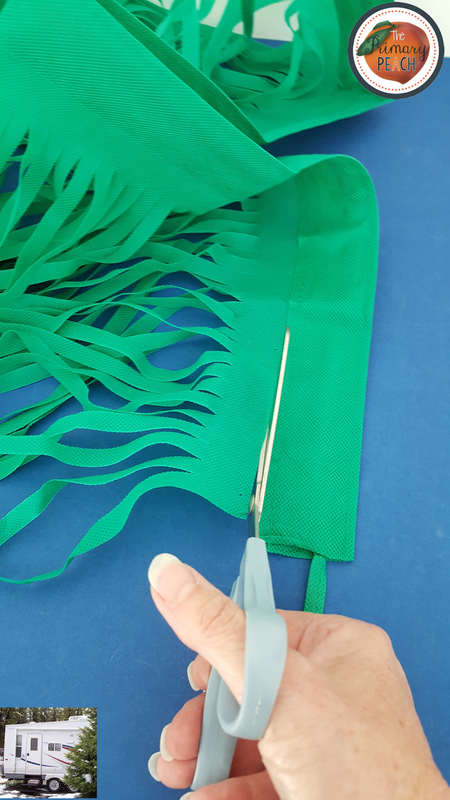 Cut the bottom part of the skirt from the waistband. You may use as much or as little as you wish depending on the size of you container and how full you want it to be. I cut about half way across the skirt—about 15 inches. There will be a small area left at the top where all the strips are still connected. 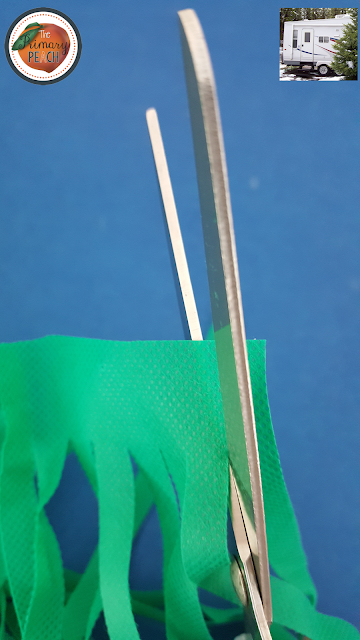 Complete the cut to separate each strip. I left the strips long without additional cuts. You may wish to cut them in half lengthwise depending upon the students in your class. You will definitely want to cut them in half if you have little ones prone to wrapping things around their necks. Put the strips in the tub. You may choose to add some type of fragrance to your tub such as apple or apple pie spices. You can put an apple or apple pie scented candle in the tub with the strips. Store it overnight or longer in a trash bag tied closed. If you have little ones with allergies or asthma, you will probably want to skip the fragrance. You may use other options for the greenery. Leaves from silk greenery, green paper shreds for gift bags, or Easter grass will work. I know. Easter grass in September? Well, I am sure I am not the only teacher who has swooped in and grabbed Easter grass when it is clearance priced the week after Easter. Even if you don’t have Easter grass in September, there is probably a teacher in your grade level who has a stash she snapped up from the clearance aisle. Add apples. You can add as many or as few as you wish. You can add various items to the sensory bin such as magnetic letters or numbers, bottle caps with numbers, sorting shapes, or building blocks with letters to supplement current skills covered. 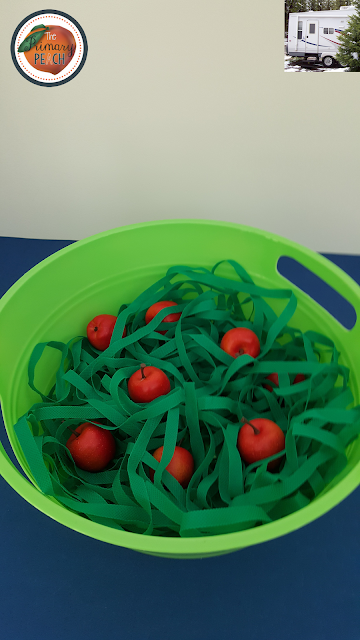 Apple themed learning activities are perfect for this sensory bin. 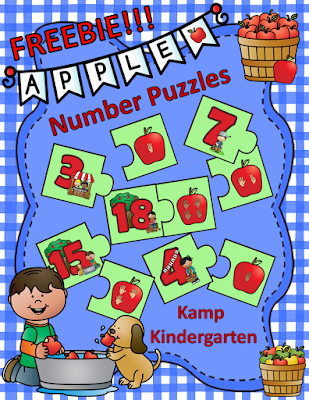 You may already have apple themed flashcards with various skills, matching cards, clip cards, and around the room cards. 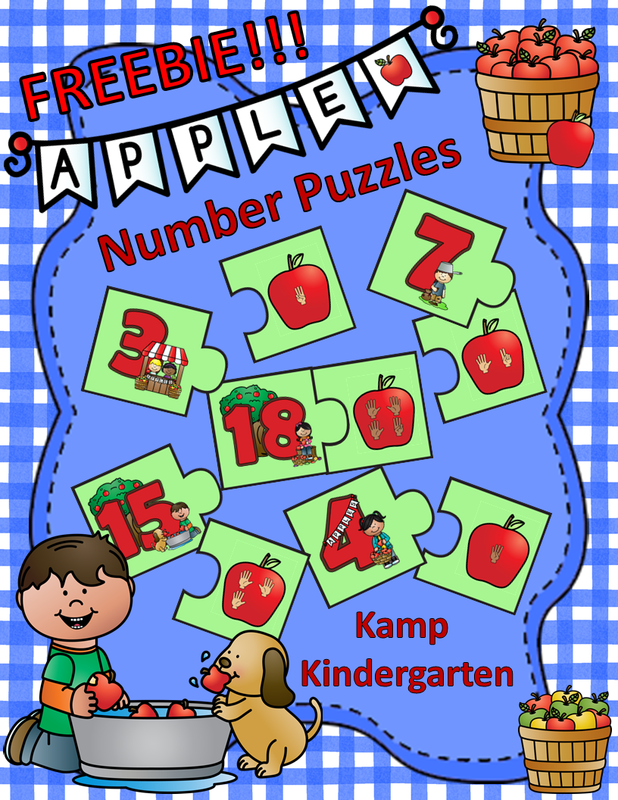 The picture above shows the sensory bin with pieces from Apple Number Puzzles, a FREE resource for you and your little learners. Enjoy! I hope you and your learners have a wonderful fall!